Animate is a dark, modern design and is named after the animated background effect seen in its header. The theme comes with an animated header and is perfect for any forum looking for a quick loading dark design - especially great for gaming forums! This theme is compatible with the latest version of IPS Community Suite 4.x, including all official IPS addons. Please upgrade to the latest version of IPS.Suite before installing this theme. After purchasing this theme, you will be able to download it immediately from your Client Area. Initial price of the theme is $30.00 which includes 6 months of free support & updates. A renewal fee of $10.00 every 6 months maintains access to support & updates. For more information, check the FAQ's and Terms & Conditions. Easily enable, disable or modify theme features such as background images, logos, social media links, guest messages and colors. This makes modifications and upgrades very simple since little code changes are required. This theme features two animated images in the header, powered by css animations. The effect can be customized extensively, or removed entirely if necessary. Your members can choose their own background image (or color) from a predefined selection and their choice is saved via cookies. This feature can be configured or disabled within the theme settings. The "Guest message" widget is restyled to grab your visitors attention. 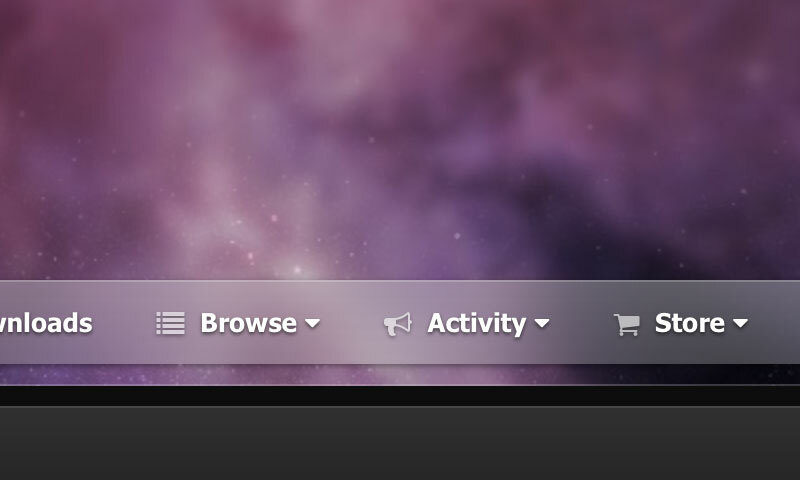 It can be added to any widget location: header, footer or sidebar. Easily add/edit your text logo and slogan from within the theme settings. If required, the text can be replaced by an image instead. A mega footer with configurable column numbers and content can be enabled and customized all within the theme settings. This theme has very few template files, which means in most cases, you will not need to install theme updates between IPS versions. Too easy! The latest topic title is visible on tablets and mobiles, allowing more convenient access to your latest content for mobile users. Display a message across the top of your site with important announcements. Once your members have seen the message, they can press the Dismiss button to remove it (until you configure a new one). All gradients, shadows and icons are generated using css which means your site will look great on all devices - even those with high resolution screens. If enabled, subtle "holiday features" such as animated snow for Christmas or a countdown for special events can be shown on your theme. A background picker allows your members to select their own background/header image from a predefined selection. Display a global message with important announcements. Once your members have seen the message, they can press the Dismiss button to remove it. All IPSFocus themes have been coded with high resolution screens in mind. Your theme will look crisp on all screens and devices! These themes use rem for font-sizes, allowing you to easily increase the font size of your entire forum by modifying just one line. For an optional additional fee, copyright removal allows you to remove the "IPS Theme by IPSFocus" link at the bottom of your theme. These themes are compatible with the latest versions of all modern browsers - FireFox, Chrome, Safari, Opera and Edge. Still not convinced? Enter save10 as a coupon on the Checkout page to receive 10% off! Offer valid to new customers only.